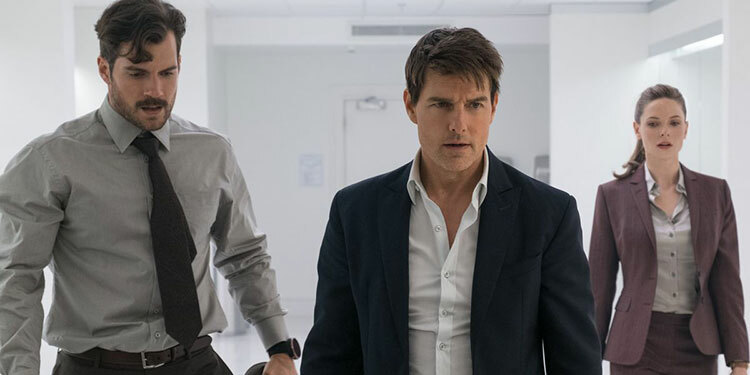 Without going too much into the plot, Ethan Hunt (Tom Cruise) and his team have to retrieve three plutonium cores before they are turned into nuclear bombs, as well as foil the plot of a religious terrorist group called the Apostles, who want to reshape the world. On this mission Hunt is chaperoned by CIA agent Walker (Henry Cavill), and we have the welcome return of regulars Benji (Simon Pegg), Luther (Ving Rhames), Ilsa (Rebeccan Fergurson), alongside some new and memorable additions. Say what you like about Tom Cruise’s personal life, but it’s well publicised that he performs his own stunts and famously broke his ankle jumping between buildings during the shooting of this film (a stunt that made it into the final cut). This is a level of dedication you don’t get from other action stars, especially those who are 56 years old. It adds a lot of realism to certain sequences, which is refreshing in the age of overbearing CGI. Although Cruise is the star of these films there is always an emphasis on the team around him and the important roles they play, and each of the supporting cast get their moment to shine and never feel like they are just accessories. I can make comparisons to the Bond films, where it’s mostly one man on a mission and frequently those aiding him die along the way and are quickly forgotten. However, we have come to know and love the likes of Benji and Luther and we see their importance to the mission, as well as the relationships between the team. Thankfully these relationships are easily accessible for those who haven’t seen previous instalments, as the regular characters’ introductions flesh out who they are and the dynamics between each other within the first few minutes of them being on screen. For me new addition Henry Cavill was eagerly anticipated not only for his acting skills and physical presence, but also his famous moustache that had to be removed via poor CGI for the Justice League (2017) reshoots. To be honest I would have loved to have seen him shave it off early in the film (he doesn’t). For the first time in this series Fallout is a direct sequel to Rogue Nation, with references to the Syndicate and the return of villain and former MI6 agent, Solomon Lane (Sean Harris). This may be a spoiler to some but he was featured in the first trailer for the film. Speaking of which, the editors of that trailer have done a great job as it didn’t spoil anything major for me. From the promo it looks like another entry where Hunt and his team are on the run from their agency following a failed mission and even members of his own team, but much like in the films themselves this is misdirection. In fact the addition of Kane helped build suspense for me throughout. He is not finished with Hunt and his end goal isn’t as simple as you might think. I suppose the stakes are always high in films like this but despite all the fantastic action set pieces and continuous threat and danger, I always know in the back of my mind that Cruise will live and manage to save the day. What is missing from a lot of films in general is a look into the psyche of the protagonist and why they do the things they do. In this film they try to deconstruct Hunt, showing his motivations and vulnerabilities. This is one element that Fallout explores to great effect. To be honest I felt for Hunt’s character especially during the films third act. I haven’t felt the need for the heroes to win this much in any film I’ve seen over the last few years. This continuation of Hunt’s character arc greatly benefits the overall story of the film. It adds some real risk and peril that in lesser hands would be just another good vs evil popcorn flick. This depth keeps the franchise both modern and fresh. A lot of this is down to writer and director Christopher McQuarrie, who previously wrote and directed Rogue Nation, Jack Reacher (2012) and co-wrote the screenplay for the excellent Edge of Tomorrow (2014). The point I’m getting to is that he is a frequent collaborator with Cruise and he is very good at getting a great performance out of the star. He also knows who to streamline a script, and get a great balance between emotion, comedy and action. I am keen to see what they work on next. Before McQuarrie the Mission: Impossible franchise had a different director for each film (Brian De Palma, John Woo, J.J. Abrams and Brad Bird), who each brought their own style and visual flares making each entry unique and different (although there was a bit too much of Woo’s trademark slow motion and doves in M:I 2 (2000) in my opinion). I have absolutely no problem bringing McQuarrie back for future instalments, but if they do change directors I just hope they keep the balance of humour, action, misdirection and overall spectacle that has been honed over the past 22 years and has been perfected with this latest instalment. Fallout is comparable to a magic show as the audiences get an engaging soundtrack, spectacle and glamour, costume changes and masks, lots of misdirection, laughs, thrills and the all-important wow factor. It is without doubt one of this year’s best action thrillers and I can’t wait for the next instalment. 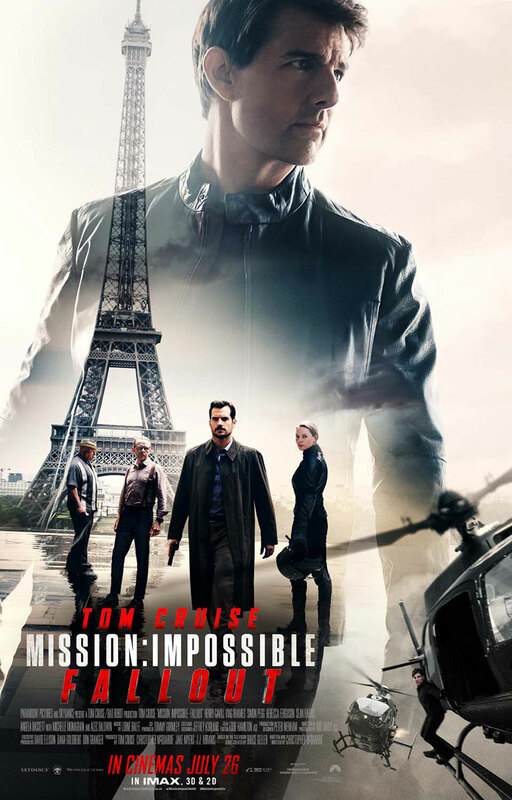 Overall Verdict: The Mission: Impossible series have a seal of consistent quality which other franchises, especially Bond, simply don’t have. Fallout manages to raise the bar not only through its action set pieces and genuinely nail-biting finale, but by exploring the central characters and motivation. It makes it one of the best movies in the franchise, and the best summer movie of the year so far.